Sometimes, a single glance on a WordPress theme and you know it’s the one for you! Funny how that works. Fooding from FameThemes is nothing short of amazing in every aspect. A traditional design combined with modern elements creates a refreshing user-experience. 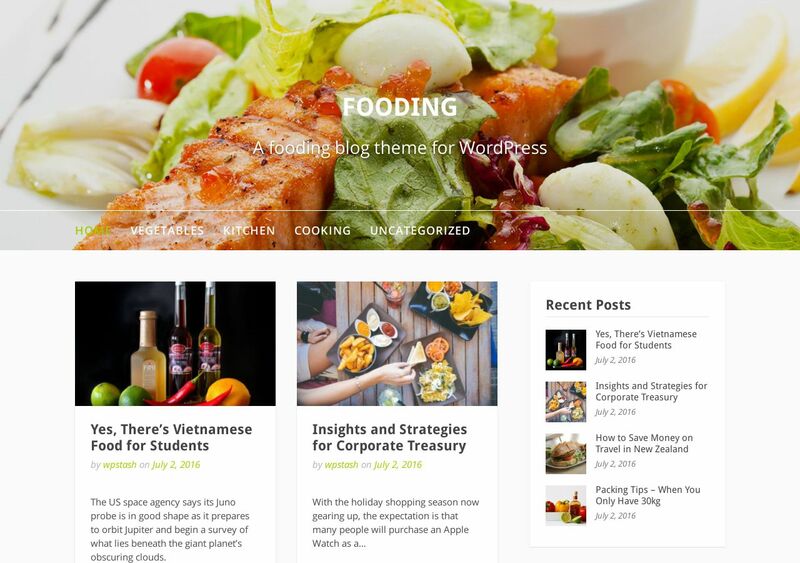 Write detailed food reviews, food recipes, or food-related stories and watch your blog grow to unprecedented levels. Indeed, Fooding feels professional; it has a character that’s so essential to building a successful blog. Users can partake in discussion to ask questions or leave feedback using the comments section. Further, you have an entire website heading area to place a wonderful backdrop image. It’s not uncommon that developers make the header a small and compact area. Yet, time and time again — we see that readers enjoy having a larger menu because you can put so many navigation choices up there.